Australian startup CancerAid will launch in Asia with the Hong Kong Integrated Oncology Centre. The biggest problem cancer patients and their families face is digesting the bewildering amount of information they are given throughout their journey. 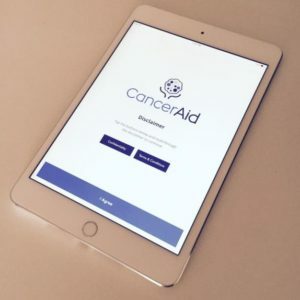 CancerAid aims to solve this problem by providing a secure communication and information portal for the millions of people affected by cancer worldwide. CancerAid was founded in Sydney in 2014 by radiation oncology doctor, Nikhil Pooviah. Its mobile app features, such as the Journey Organiser and Treatment Plan, will help patients keep track of appointments and record information they can then share with their loved ones and treating team. The app can be personalised to each patient’s individual cancer subtype and treatment program. Patients will also be able to access help from Allied Health members, and be able to communicate with cancer specialists who are registered with the program. CancerAid will launch in Australia later in 2016.